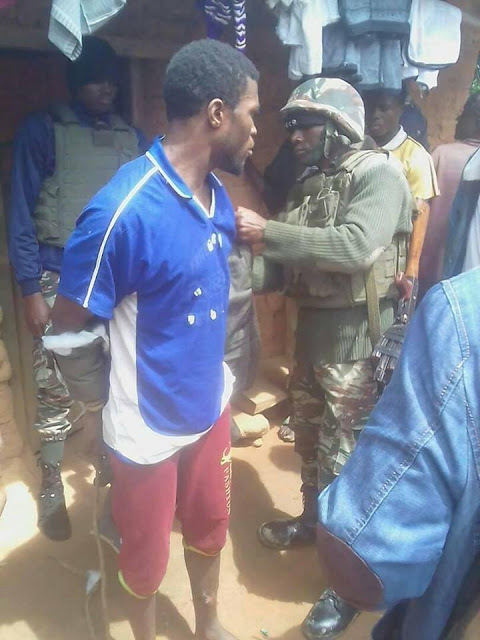 Koaci | Monday, September 10, 2018- Godlove, was arrested this weekend by the people of Romock village in the North West region in the clashes between armed separatists and loyalist forces. After being arrested by Fulani shepherds, the separatist was handed over to the Defense and Security Forces. "This militia leader was about to attack once more, a Mbororo village at the time of his arrest," said a security source who requested anonymity. Within a week, the Mbororo community (shepherds) settled for more than 150 years in the North West region was the target of two separatist attacks. During these attacks, the cattle of the Mbororos shepherds are swept away by unknown persons. On the internet, the arrested militia routinely defied the defenses and security forces in propaganda images in which he showed his spoils of war. In his violent videos, he waved like a trophy, the mutilated bodies of the killed soldiers.